Park Insurance > Blog > Liability > Who is liable in the event of a taxi accident? 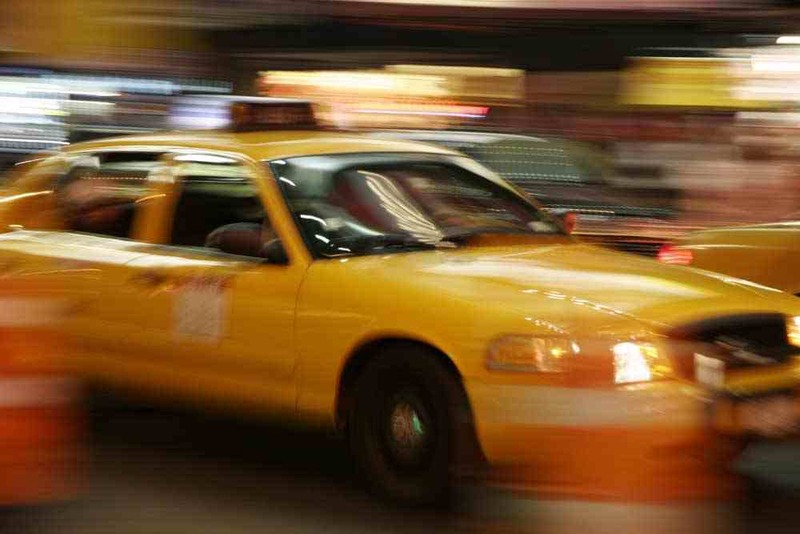 Who is liable in the event of a taxi accident? Even with the most careful driving and a raft of safety laws and regulations in place, the road can be a dangerous place at times. Regardless of how experienced the drivers involved are, sometimes conditions and circumstance can conspire to create an accident. In a recent incident in Oldbury in the Midlands, six people were injured, none critically, in a road traffic accident involving a taxi and another vehicle. The taxi driver himself was taken to hospital to be treated for leg and neck pain, while a woman travelling in the back of the taxi suffered a serious shoulder injury and a male passenger suffered minor injuries. Three passengers in the other car were also checked over for minor injuries at the scene. No further details were given as to the cause of the accident and investigations continue. Incidents like this in which a number of people have been injured highlight the importance of taxi drivers protecting themselves financially against such an eventuality. When an accident occurs on the road, one of the key things considered by all parties is who is liable, and therefore whose insurance will cover any damage or injuries sustained. Sometimes this is clear cut and one driver will admit liability for the accident, but in other cases it may be contested. When an accident takes place involving a taxi, if it is deemed to be the fault of the taxi driver then he or she is liable for the damage to the other vehicle and any injuries sustained by its occupants. But in addition to this, they will also be liable for injuries or loss suffered by the passengers of their own vehicle. Therefore it is important to have taxi insurance that will cover you against such a situation. Things are a little different if the taxi driver is employed by a taxi firm, and it may be that the liability for such an accident is transferred to the company. Again, the taxi firm in this instance should take steps to make certain that their insurance is robust enough to cover any damage or loss suffered by the occupants of the other vehicle and of the taxi vehicle. There may be incidences in which a bystander or pedestrian is injured by the accidents of a taxi driver. In this instance they may choose to pursue a compensation claim against you or your company, and if you’re not insured against this then it will come out of your own pocket and potentially be catastrophic to your finances. Having public liability insurance as part of your taxi insurance policy will protect you against the financial consequences of these compensation claims. If you own a taxi firm and one of your drivers suffers an accident while working and it is deemed to be due to your negligence, they may also choose to pursue a compensation claim against you for physical injury or psychological damage that occurs as a result. Your employer’s liability insurance will however cover you for this eventuality, and having such a policy is in fact a mandatory legal requirement for all employers in the UK. Hopefully this has helped to explain a little about who is liable in the event of a road traffic accident involving a taxi. Liability will of course depend on the exact nature of the accident and various other factors that may come into play. If you’d like any further advice regarding liability or taxi insurance in general, do get in touch with Park Insurance. "We have been delighted with the service provided by Park Insurance, which has been professional, friendly and efficient. When we made an enquiry for our Professional Indemnity Insurance they worked hard to find us the right solution and worked all hours to do this. The level of understanding to our requirements has been first class and we would highly recommend them." "Just to let you know that thanks to your site we got a terrific quote on our home insurance! Our usual company increased our premium without us ever filing a claim and your site gave us a better company with better coverage for LESS money! - Thanks! Please keep up the good work!"